Later in this report: interviews with Australian lawyers and politicians about Assange’s lack of support at home, and a word from the WikiLeaks founder himself. 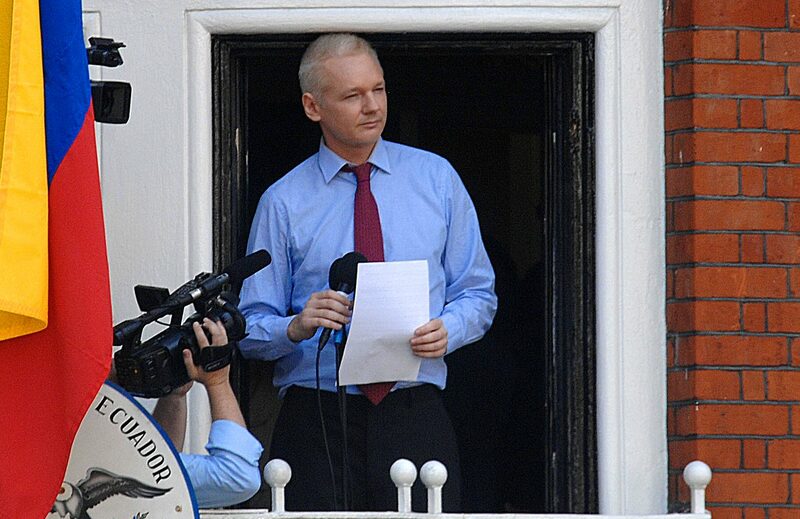 Image: Assange at the embassy, by Snapperjack. Assange was granted refuge in the embassy over three years ago after extradition to Sweden over police-fabricated sexual assault claims became a serious possibility. He has not been charged and is not wanted for trial, but British authorities placed him under house arrest. It has long been suggested Sweden or the United Kingdom would extradite Assange to the United States, which wants him to face a super-secretive grand jury over WikiLeaks’ publication of leaked classified material showing US war crimes. Neither Sweden or the UK have denied extradition is a possibility. In other words: Assange plans to leave the embassy tomorrow, no matter the outcome. 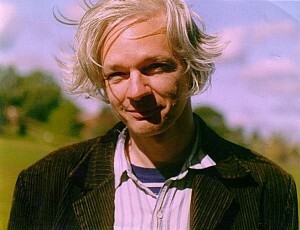 Assange in 2006. Photo by Marina Harris, released to public domain. The WGAD will determine whether Assange has been detained, and if so, if he has been detained unlawfully. If you have not heard of the investigation before there is a good reason: the WGAD operates in secret in the name of objectivity. In 2007, a WGAD investigation found now-free Myanmar democracy supporter Aung San Suu Kyi’s house arrest was illegal. You can find out more about the case from the Assange camp’s perspective by clicking here. A timeline of events is here. What of Australia’s role in the case? Assange is Australian and some information leaked by Wikileaks affected Australia, but the Gillard Labor government did little to support him. In fact Julia Gillard, a former lawyer, described Assange as a criminal despite not being able to name any Australian laws he could have broken. Her former colleague Peter Gordon told me in February 2011 Assange had not violated any Australian laws by publishing leaked information as he was the publisher, not the leaker. 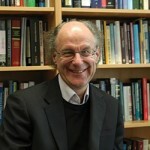 Then-president of Liberty Victoria Professor Spencer Zifcak was a host of the forum. He described Assange’s arrest as “the most tremendous free speech issue of our time” and said the director of WikiLeaks had broken no laws anywhere. After the event, Zifack told me Assange was under attack at home and abroad. Spencer Zifcak. Image: Liberty Victoria. “Julian Assange at the moment is under the threat, particularly from the United States and to a lesser extent… Australia, of prosecution for certain criminal offences,” he said. What comes out of the secret UN decision making process will make major headlines, and there will undoubtedly be protests and claims of corruption if Assange’s arrest is determined to be lawful. In a statement to the Liberty Victoria event, Assange said the US had been attempting to influence the global governance body. “It is surely a matter of interest that the US Secretary of State, Hillary Clinton, has been running a secret intelligence campaign directed at the leadership of the United Nations, demanding passwords, DNA, total encryption keys, credit card numbers, and so on,” Assange said. Something for US Democrats to remember during the primaries.